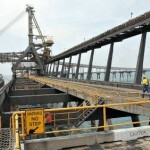 Australia’s resources exports delivered a record $248 billion in revenue in 2018, according to data from the Australian Bureau of Statistics (ABS). The Queensland Government has signed a three-year memorandum of understanding (MoU) with the Indian Government to focus on mine safety management plans. Gold miner Newcrest Mining has ramped up its focus on developing digital operations through a partnership in India. 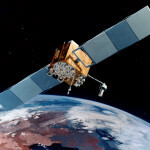 New satellites from the Quasi-Zenith Satellite System (QZSS) project have been found to boost positioning capabilities in Western Australia, according to research from Curtin University. Whitehaven Coal is well placed to deliver record fiscal performance in the 2018 financial year as thermal coal prices have reached seven-year highs. The amount of mining fatalities among 28 of the world’s 40 largest miners which disclosed their safety statistics has reduced by 37 per cent. The World Gold Council (WGC) has released an essay collection called Gold 2048, which claims that due to an expanding middle class contingent in countries like China and India, demand for gold will rise. Australian iron-coal company NSL Consolidated has secured $10 million from institutional investors for the funding of phase three expansion at its Kurnool wet iron ore beneficiation plant in Andhra Pradesh, India. A poll undertaken by human resources organisation, Mining People International (MPI), has shown that industry personnel narrowly back the development of Adani’s Carmichael coal mine in Queensland. The Tasmanian Government is providing $25 million to Vendata Resources to restart the Mt Lyell copper mine by 2017. Rio Tinto has exited from a diamond mine project in India amidst constant battles with tiger conservationists and tribal groups, regulatory issues and lowered diamond prices. Downer EDI has signed a two year extension for mining services at Stanwell’s Meandu coal mine and a technical services agreement with Adani. 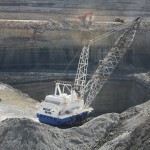 The ongoing downtrend in coal looks set to continue, with new reports highlighting a decline in Indian imports.